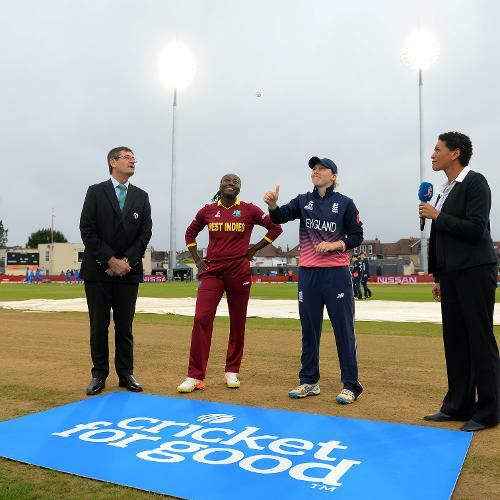 West Indies won the toss and elected to field first. 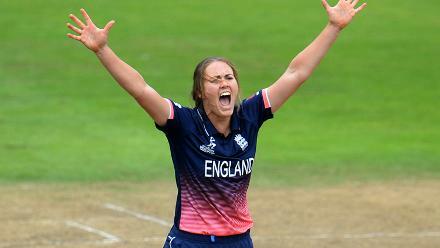 Sarah Taylor falls to Deandra Dottin for a first-ball duck. 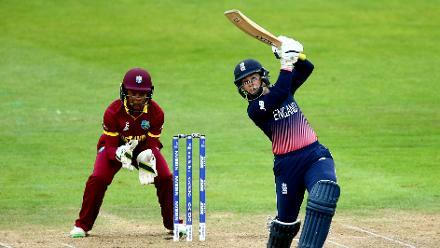 Tammy Beaumont scored a measured 42 off 71 balls including six fours before getting dismissed by Afy Fletcher. 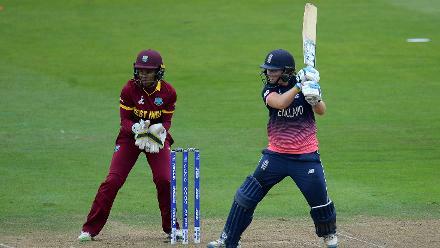 Katherine Brunt (14) added 36 runs with Heather Knight for the sixth wicket. 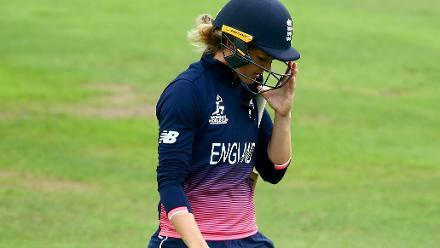 Heather Knight top scored for England with 67. 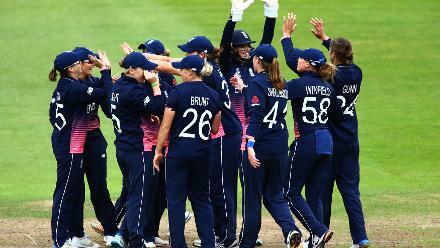 Sarah Taylor of England celebrates with her teammates after running out Kycia Knight. 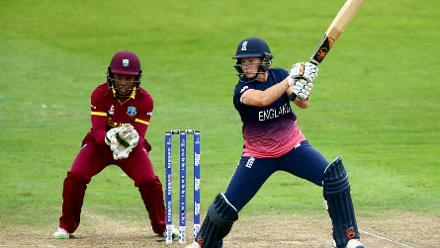 Natalie Sciver picked up three wickets in no time to reduce West Indies to 129 for 8 and gift England a 92-run victory.